Here is a map of the area that we service regularly year around. It extends from Lynnwood, Bothell, Mill Creek, Kenmore, Woodinville and South Snohomish County in the north to Renton, Newcastle and Tukwila in the south. From Seattle in the west to North Bend, Snoqualmie, Carnation, Duvall, Fall City and the Cascades to the east. It covers all of the Greater Eastside including Bellevue, Mercer Island, Kirkland, Juanita, Issaquah, Redmond, Sammamish, Medina, Clyde Hill, Hunts Point, Yarrow Point and Beaux Arts. It does not include any areas across Puget Sound. For service outside of this area, see the links to recommended dealers at the bottom of the page. We serve Seattle with evening appointments during Daylight Savings Time only and not during the winter due to the darkness, rain and excessive travel times on the Lake Washington floating bridges during rush hour. Click here to request an appointment for a Free In-Home Consultation with one of our Window Covering Designers in our Local Service Area. Or click here to view our current specials in our Service Area. 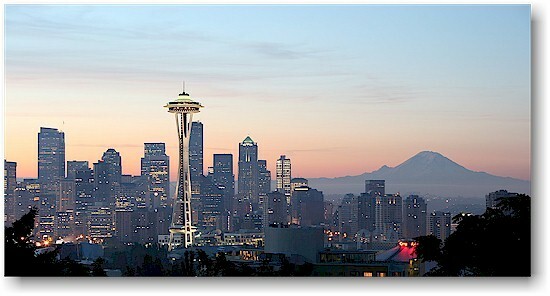 Click here to view our current specials or coupons for our Local Service Area of greater Seattle, Washington. Click here to view our Blind Alley Hunter Douglas Gallery Portfolio. 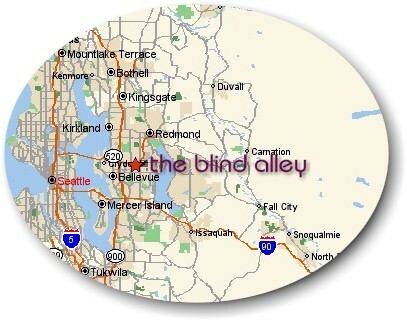 Click here to view our Blind Alley Showroom Portfolio.